Coming to you live from LA and sharing some pictures from our time in Venice yesterday. 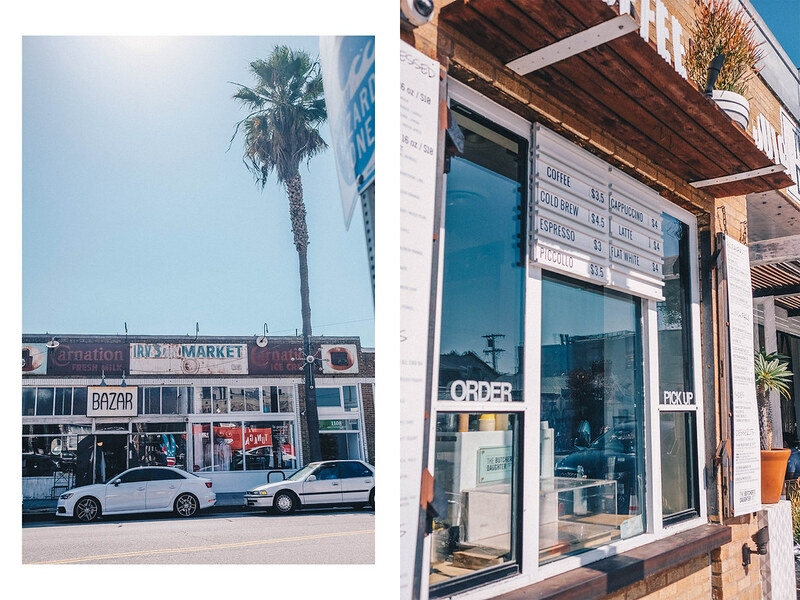 We only had one full day in LA, so we spent the evening we arrived checking out the shops at The Grove (by far my favourite shopping mall I’ve ever been to), and then decided to head to Venice for lunch and a little explore. 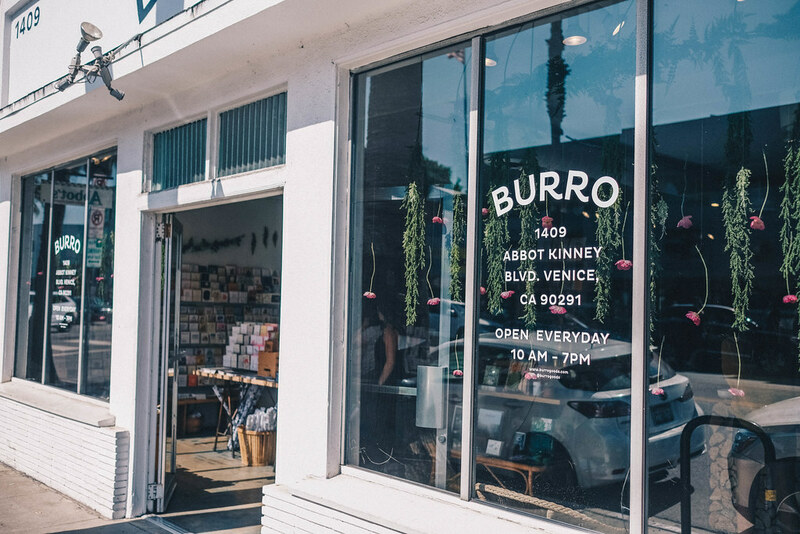 We spent ages wandering down Abbot Kinney, peeping in and out of all the little stores (my favourite was Burro, pictured above) and grabbing a bite to eat at The Butcher’s Daughter. I’ve eaten at the New York restaurant before, not realising they also had one here. I was reluctant to try it at first because the name sort of implies it’s a meat heavy place, so I was incredibly chuffed – and by the end of the meal, stuffed – to find out it’s actually entirely vegetarian. Winner winner, absolutely no chicken on the menu for dinner. Today we’re heading north to Santa Barbara for some real beach action. 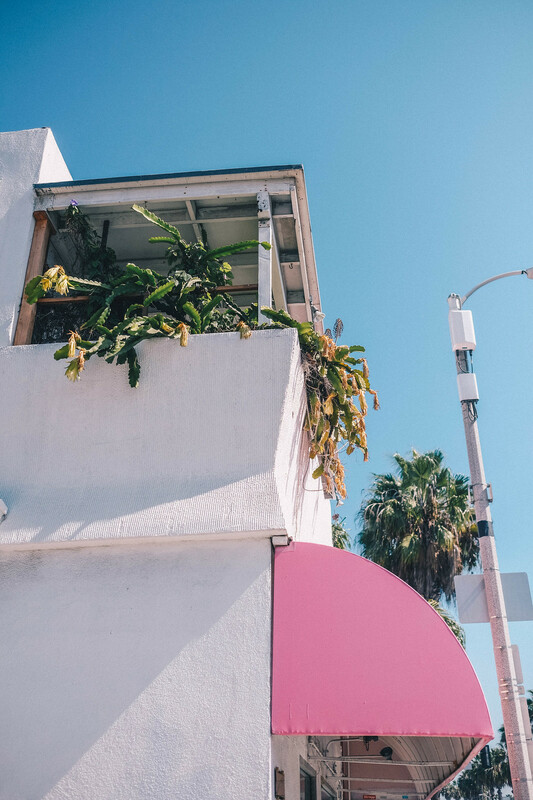 We’ve been staying at The Beverly Hills hotel which has been such a treat – I feel like I’m in an old Hollywood movie every time I step into the lobby – but more on that in another post. 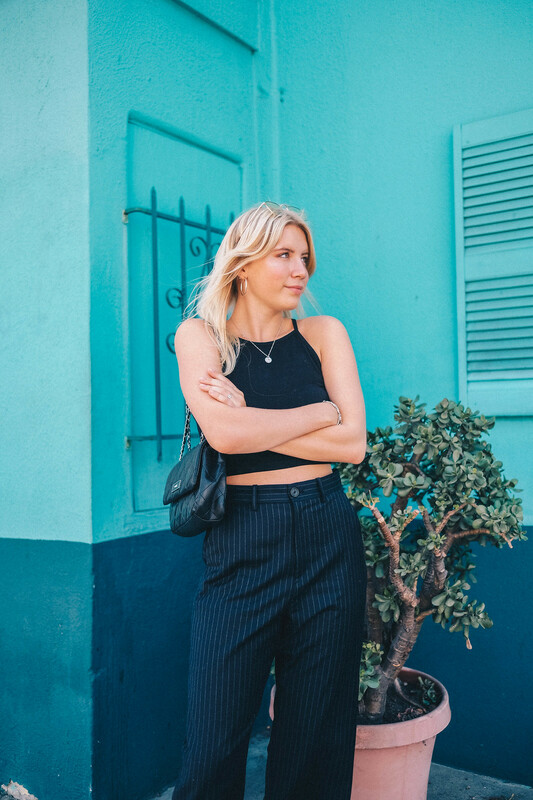 The weather here in LA is cooler than Palm Springs, so I went for my new JW Anderson X Uni Qlo trousers that I picked up a couple weeks ago – they feel very autumnal but they’re so comfortable I couldn’t resist bringing them stateside. I’ll probably bundle them up with some knitwear back in London, but I liked the vibe of wearing them with a crop top and some orthopaedic style Nike’s (my mothers words, not mine). Are you enjoying the added scenery to my outfit posts? Let me know! Clothing details are, as always, at the end of the post and you can catch up with all my California adventures on my instagram. JW ANDERSON X UNI QLO trousers, NIKE trainers (what a lad), ASOS top and sunglasses, DKNY bag.